Megill is your West Chester Area School District real estate INSIDER, and that means More for you. Scroll down and see our West Chester Area School District Home Listings and Search, as well as Market Trends and Analysis for the West Chester Area School District. West Chester Area School District: The West Chester Area School District is rated as the top school district in the area and consistently ranks among the top 10% of school districts in all of Pennsylvania. Homes in this school district are highly desired for many other reasons as well, including their central location, proximity to shopping and historical sites, and relative closeness to larger cities like Philadelphia and Wilmington, DE. 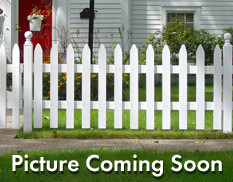 Hungry for More real estate and home info for the West Chester Area School District? Visit our Market Insider section for West Chester Area School District price trends, maps with sold homes information, market inventory charts and More!! !